If you don't know it yet, let me tell you - Jan Morris is a GIANT of travel writing. She (or once he, having been born as James Morris) has been to everywhere on our planet, or so it seems. Any travel writing tribute/anthology/collection includes something of hers, and so does any bookshop's and library's travel section. I've seen her described as the greatest travel writer of our (or indeed, all) times and well, she IS good. Even so, I'm not joining her fan club. I can't quite put my finger on the reason, but somehow Morris's writing... bores me (and yes, I do feel a bit as if I was spitting on a monument when saying so). I can't quite tune into her visionary descriptions, I can't see what she sees in places she describes. It might be because she steers towards what I perceive as poetry or even mysticism and my preference is for cold, hard facts and saucy anecdotes. It might be just me. And even I can't deny that her grasp of language is truly impressive. 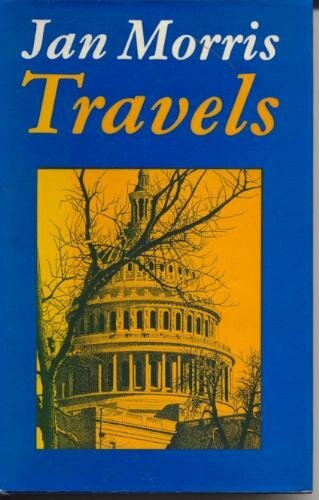 Travels was written long, long time ago. In 1976, to be precise. In this particular instance, I believe the fact to be an advantage. The world as described in this small collection of essays (150 or so pages) exists no more. Hong Kong is no longer British. Dublin is no longer poor. None of other places included in Travels is what it was thirty six years ago, and it adds to the booklet's charm. It's no longer ordinary travel writing, it's history. A history not written by politically-minded demagogues, but by an eye witness who's not conscious of writing a historical account. For that alone, Travels deserves to be read.